Zac Efron Cheers on His Brother Dylan at the Boston Marathon: 'With You from Here Until Forever' - Integration Through Media ....! Not even pouring rain could stop Zac Efron – or his brother. The Baywatch star headed to Boston on Monday to cheer on his brother Dylan, 26, as he ran in the Boston Marathon. Cloaked in a poncho, Zac embraced Dylan as they met right after he crossed over the finish line. 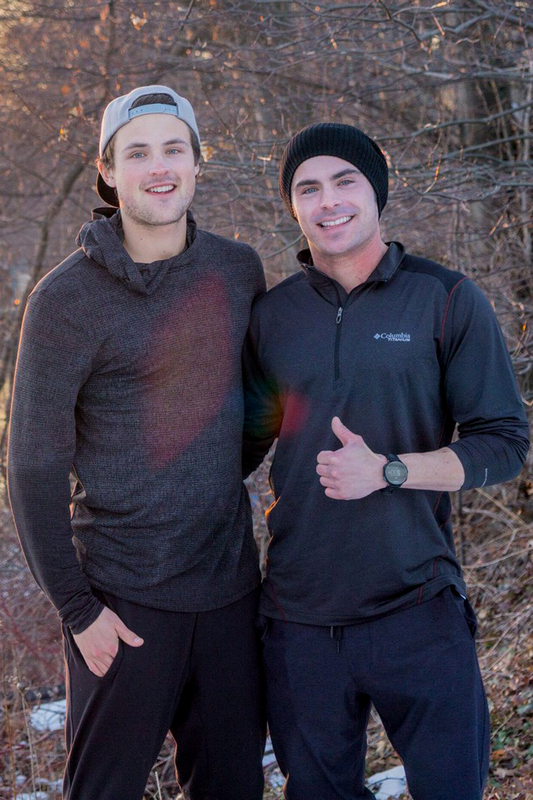 Later, Zac posted a video on Instagram about his brother’s inspiring journey. Clearly, Dylan was thrilled to have his brother there. After the race, he posted a photo of his own as he made it over Heartbreak Hill, an ascent between the 20 and 21-mile mark outside the city. “First Boston marathon Cold, windy, rainy… but what a memorable day. @zacefron and @coourtking waiting for me at the finish was all the motivation I needed. This pic was taken at mi 18 right before heartbreak hill, thanks Jacqueline for the fuel and pick-me-up! Dylan finished the 26.2-mile race with a Net Time of 02:57:50, and a Gun Time of 03:00:55. As for after the race, he later posted an Instagram story as he soaked in an ice bath.